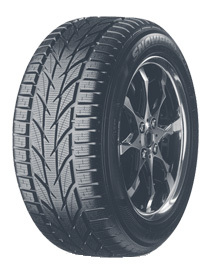 A high performance winter tyre for motorway use. The Snowprox S953 offers improved braking in wet and dry conditions thanks to Toyo?s innovative asymmetric section slits. The open lateral slit on the side of the tyre also allows for enhanced water drainage and superior snow traction.